Summary: The Jim and Pam we know and love, but set a few years back in their lives. Summary: After spending a week at home while pretending to be on jury duty, Jim reflects on the past few weeks, gets some news from Michael, and spends a morning with his wife and kids. 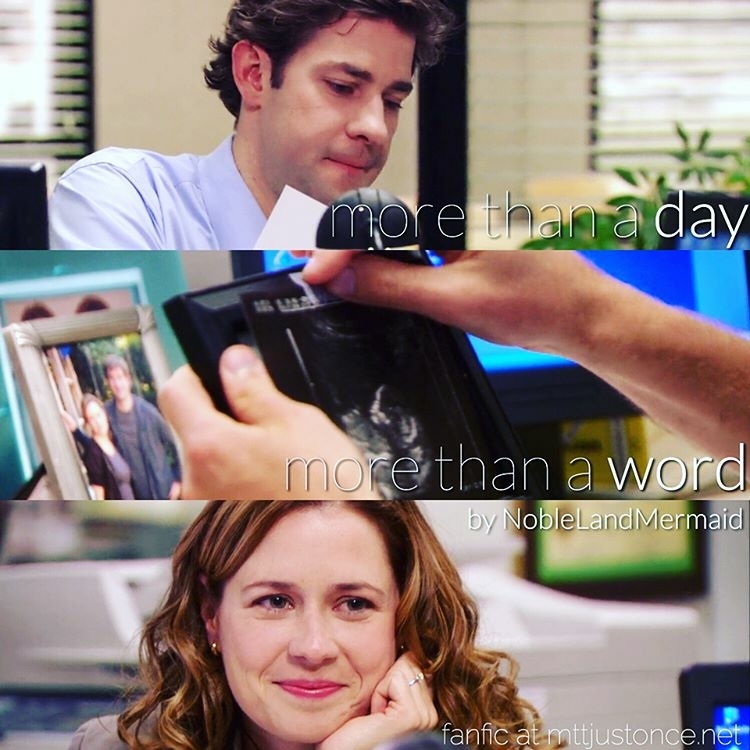 Summary: A series of simple, yet memorable moments in the lives of Jim and Pam. Each chapter will be a short stand alone scene, and I'll add them as I think of ideas. The rating may eventually change. Summary: It's the middle of November, but once I realize what you are referring to, I smirk. Yes, we know exactly when (and where and how) this little guy came to be, and in a way, that actually does make him a Valentine's Day gift. Summary: Jim decides to write his thoughts down. Summary: Jim and Pam on each other, to each other. Summary: AU with a season three backdrop. Pam finds herself pregnant. Shenanigans ensue from there. Summary: Fully reposted and completed. May 2007-August 2008. Closely related one shots from the week after they started dating to the proposal. Summary: "Tears slowly unleashed from the back of my eyes darkening the spots they trickled on my sweater. Jim kept his expression stoic and his hand firmly clutched to mine, squeezing tightly. The baby kicked hard and I sobbed even harder."